It is my honor to reveal the full title and cover of the first part of a YA dystopian romance trilogy by author, friend (full disclosure) AND fellow Fangirl, Pippa Jay. Introducing Zombie Girl: Dead Awakened! Rehabilitation might be torture, but far worse awaits him outside. All too soon, the hospital Mentor declares him fit to leave but with nothing to go home to except a city full of mindless, flesh-eating monsters. That is, until he forms a strange relationship with the one he nicknames ‘Zombie Girl’. 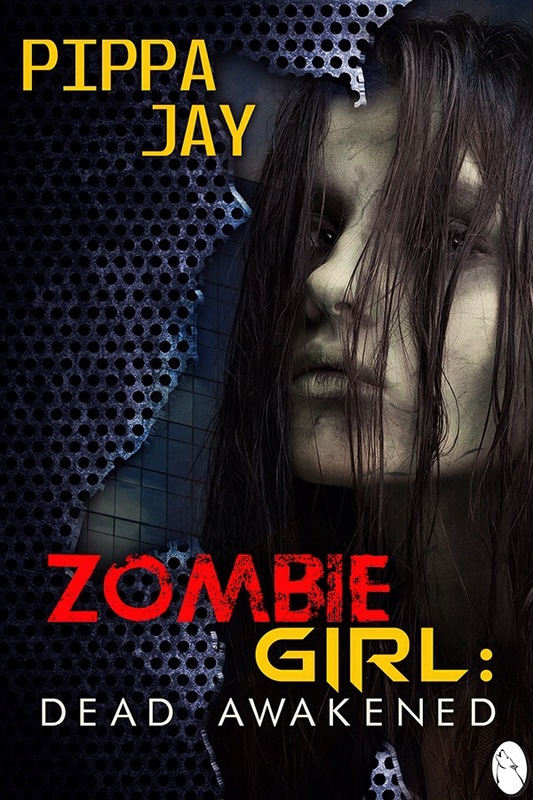 Zombie Girl: Dead Awakened is the first part of a YA dystopian romance trilogy, releasing 22nd April, 2015. You can add it to your Goodreads shelf HERE, or sign up for Pippa’s no-spam newsletter for special previews on cover reveals, new releases, the latest giveaways and discounts, and upcoming news HERE! The door slid open, and a warm breeze hit him full in the face, the smell of hot glass and tarmac, and a faint scent of grass from the garden area. Nothing more. The Mentor had assured him that the bioweapon had died out as quickly as it had contaminated everyone, job done. Even so, he drew his next breath with caution. Like I’m just going to go straight into full on zombie mode… It didn’t ease his nerves. No point standing around here waiting for it. Connor took a step outside. The heat after the temperature controlled interior broke him out in a sweat. He turned back to ask the Mentor one more time to change its mind in these unusual circumstances, but the glass door slid shut. Connor sat up, staring around. Still no signs of life. The glass front of the hospital dazzled him as sunlight struck it, and the breeze blew the grasses and plants around in a mad dance, but that was it. “Take me home,” he muttered. “Yes, sir.” The autocar trundled forward and carried him away from sanctuary. Safely in the confines of the vehicle, he examined the surroundings as he travelled. Except for the total absence of people, the city looked perfectly normal. No. Connor corrected himself. Not normal. It was too clean. Too perfect. The city equivalent of a show home, made up to look like the perfect place to move into, but utterly devoid of personal belongings. Devoid of life. Without the drain on the power systems by several thousands of human beings, and without them making a mess any more, the cleaning systems had kept the city pristine. Just like the hospital. No rubbish, no dirt, and no corpses. It was creepier than any abandoned city of the past, like those the Mentor had shown him. No sign of the deadly apocalypse that had killed part of the population and turned another part into a mindless ravening horde that devoured the survivors. Pippa Jay is a dedicated member of the Science Fiction Romance Brigade, like I am, she blogs at Spacefreighters Lounge, Adventures in Scifi, and Romancing the Genres. Her works include a YA science fiction novel—Gethyon—published through BURST (Champagne Books), two self-published short stories (Terms & Conditions Apply and The Bones of the Sea), and she’s one of eight authors included in a science fiction romance anthology—Tales from the SFR Brigade. She’s also a double SFR Galaxy Award winner, been a finalist in the Heart of Denver RWA Aspen Gold Contest (3rd place), and the GCC RWA Silken Sands Star Awards (2nd place). 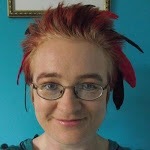 You can stalk her at her website http://pippajay.co.uk, or at various blogs including Adventures in Scifi, Spacefreighters Lounge, Romancing the Genres, SFR Brigade, Google+ or Pippa’s own blog http://pippajay.blogspot.co.uk. However, without doubt her favorite place to hang around and chat is on social media sites including Twitter as @pippajaygreen, Facebook, Pinterest or Wattpad. You can also learn more about Pippa’s stories via her Amazon or Goodreads author pages.